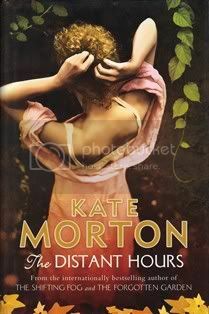 Kate Morton is Enid Blyton and Roald Dahl for grown-ups. While she doesn’t write about magic faraway trees or boys who live in giant peaches, she has a gift for storytelling that sweeps you up into the lives of her characters and their worlds. 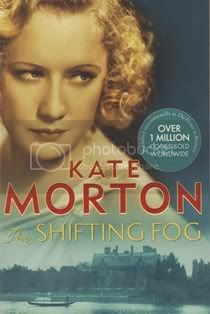 If you enjoyed Ian McEwan’s Atonement and watch TV’s Downton Abbey, you will love The Shifting Fog. Winter 1999: Grace Bradley, 98, is onetime housemaid of Riverton Manor. Ghosts awaken and memories, long-consigned to the dark reaches of Grace’s mind, begin to sneak back through the cracks. A shocking secret threatens to emerge; something history has forgotten but Grace never could. 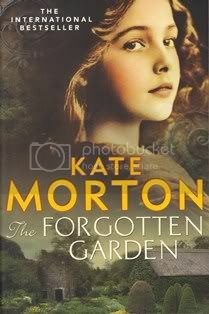 A lost child....On the eve of the first world war, a little girl is found abandoned on a ship to Australia. A terrible secret....On the night of her 21st birthday, Nell O'Connor learns a secret that will change her life forever. Decades later, a search for truth leads her to the windswept Cornish coast and the strange and beautiful Blackhurst Manor, once home to the aristocratic Mountrachet family. A mysterious inheritance....On Nell's death, her grand-daughter, Cassandra, comes into an unexpected inheritance. Cliff Cottage and its forgotten garden are notorious for the secrets they hold. It is here that Cassandra will finally uncover the truth and solve the century-old mystery of a little girl lost. When a long lost letter arrives with the return address of Milderhurst Castle, Edie Burchill begins to suspect that her mother’s emotional distance masks an old secret. Evacuated from London as a 13 year old girl, Edie’s mother is taken to live at Milderhurst Castle with the mysterious Juniper Blythe, her twin sisters and their father. Fifty years later, Edie, too, is drawn to the castle and the eccentric Sisters Blythe. Old ladies now, the three still live together, the twins nursing Juniper, whose abandonment by her fiancé in 1941 plunged her into madness. Inside the decaying castle, Edie begins to unravel her mother’s past. But there are other secrets hidden in the stones of Milderhurst Castle, and Edie is about to learn more than she expected. I loved all three books so much I couldn’t pick a favourite so I recommend them all to you. As you read them, take note of Morton’s use of descriptive language. She has a beautiful way with words. Would you like to read The Shifting Fog / The House At Riverton, The Forgotten Garden and The Distant Hours? *Please note: You won't pay any more if you buy these books via these links, but they will give me a small referral fee (5%).